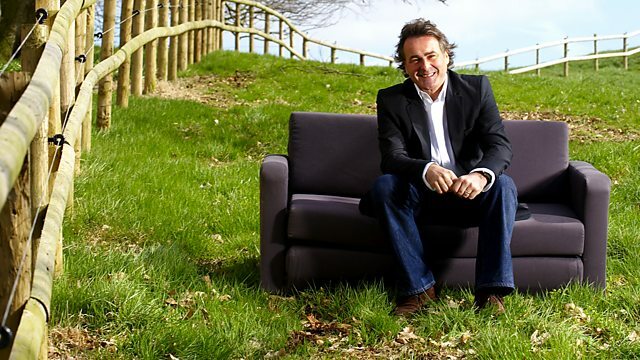 Somerset 11 ‹ Series 12 Reversions ‹ Flog It! Antiques series. Paul Martin presents from the Fleet Air Arm Museum situated on HMS Heron, the naval aviation base in Yeovilton, Somerset. Browse content similar to Somerset 11. Check below for episodes and series from the same categories and more! Today, for the first time ever, "Flog It!" comes from a working military base. Britain's largest naval aviation base. And later on in the programme, I'll be going up in that. and helicopters, designed specifically to launch from ships. anti-terrorism and even anti-piracy missions. guardians of high standards and excellence. The very respectable Charlie Ross. And the impeccable Thomas Plant. -Do you know how to use it? I was looking like I do. Well, what a fabulous queue we have here today. chosen to go through to the auction later on. can get a proper look at the wonderfully diverse items arriving here today. which one of these three Oriental items makes thousands at auction? Will it be this menacing looking samurai sword? Or the Chinese ivory aide-memoire? Or the Cantonese vase decorated with famille rose? no shortage of things to look at here at the Fleet Air Arm Museum. But right now, it's time to focus our attentions on our first item of the day. who's installed himself beneath the beautiful wings of Concorde. I decided to come and bring this just on the chance of meeting you. -I must say, you made my day. -I'm going to go home now. When I said, "Would you dance?" I wondered whether that might be a little dance card. -That's exactly what I thought it was as well. I think that would be possibly a little large. -She'd have a lot of dances, wouldn't she? -She'd have a lot of dances. There's a lot of pages. -We could dance all night, couldn't we? if you would like to put it into fancy French. Of course. It's posh then. -Do you know where it was made? -No, but is it ivory? and I kept thinking, "Is it or isn't it?" Because it is so nicely decorated, I thought it can't be plastic. -It is Chinese. It is actually Cantonese. illegal to sell any ivory that is post-1947. I was a bit worried about it. That's why it stayed in the drawer for a while. You don't need to worry, this is well pre-1947. I would think this is certainly 1910, 1920. It might even be a little bit earlier. -It's so small, isn't it? you can see the scene perfectly well. There's no chips, no damage. There is a little bit of discolouration. And you have got a wonderful little clasp here, which I think is silver. And that will be commensurate with the sort of quality of the item. -Have we got anything written in it? I'm a little bit worried here, there is something written here. You better not read it out, it might be naughty. -It does. Doesn't that say punishment list? -Well, it doesn't say shopping list, does it? -No. It doesn't say tango. -I think that will make between £100 and £200. Also, it is nice and small. -just in case there aren't the right people there. with a little bit of auctioneer's discretion. -Yes, because I've met you through it. -You keep saying all the right things. I don't think Charlie could have started on a higher note. And there is no chance of coming down to earth with our next seller. So, Chris, any connection with this place here? -Yes, when I was working in the Middle East. -Were you in the oil industry? -And how quick was it? Well, we're digressing from the pot. What do you know about it? Virtually nothing. It belonged to my father. And it has been here in the family for at least 45, 50 years. -We use it for paintbrushes and that sort of thing. -What we call the Chinese Canton ware. With this famille rose palette to it. Famille rose are the pinks we pick out against the green and the gilt. which are delightful. And they sort of unite the piece throughout. being is the Chinese nationals are buying back their heritage. However, I'm going to slightly disappoint you. -Therefore, they are not so keen on buying it back. But it is still immensely decorative. Are you happy to let it go? Well, we don't really use it as such, so, yes. I think one should do that because it is so decorative. Well, let's hope Thomas' valuation rings true in the auction house. Charlie Ross and see what else he has spotted. -Ailsa, how romantic is this?! with a heart-shaped casket between us. Well, it belonged to my late aunt. -They were living in Yorkshire at the time. was having a sale, and the proceeds were going towards the troops. Oh, really? When was the sale, 1938, '39? Somewhere around there, yes. And she bought it there. -And that is really all I know about it. -And you inherited it from her? I inherited it from her about three or four years ago. I think it is a dressing table casket. It is for putting rings in or hair tidies, things like that. -You know what it is made of, do you? -And where was it made, do you know that? This is a piece of Dutch silver that was then imported into England. then receive the English assay mark. -This has been assayed for 1892. -Oh, I didn't realise it was that old. So, it is truly Victorian. And the embossed decoration here is in tremendous condition. Yes, it's the little figures on it that are wonderful, aren't they? -Open it up and it has got a slightly gilded interior. That is another sign of quality. probably it would have had a velvet lining inside it. -Which is no longer there. I can't remember her ever having anything velvet in it. You don't want to put it back in the cupboard. -you'd probably be disappointed, would you? I think it is worth between £100 and £200. -so it can't be sold for any less. And hope that the auctioneer works it up to the top end. who is sat beneath the first British-built Concorde. We're like the Three Musketeers from Bristol. So, why have you come to Yeovil from Bristol? -We're looking at these aeroplane timepieces. Tell me, how did you come by them? bits and pieces were taken out. -because they lit up in the night. Yes. So, he used it as his bedside clock. What was your father's involvement within Filton? -Was he a repairer, an engineer? Did you follow him into the business? I worked there during all my career. -Not within Filton, the last ten years within Filton. So you never saw this being built in Filton? The wings were built there. I was responsible for building wings on the A400M military aircraft. But your father, he was a protected occupation. How did he feel about that, did he ever talk about that? -because he worked on a lot of secret stuff. So, these could have come off a secret plane? -the bigger one is earlier. this one is made by the Goldsmiths & Silversmiths company. -It's made by the same company. -on the back, don't they? -And the George VI crown. -So, the King's crown on there. is second to none, coming straight from your father. Did they keep good time? They used to and one of them does still work. They haven't been used for such a long time. -He did wind them up, just now. Are you going to be sad to let these go? Erm, not really, no. They're no sentimental value. Erm, as I said, I thought it was a very interesting place to bring it. We have two daughters with no interest in it, whatsoever. I would suggest an estimate of 120 to 180 on them. Put a discretionary reserve on it at 120. -So we'll see you at the auction? where all the new arrivals are brought. And as you can see, there's quite a lot of them. items that currently aren't in exhibition. But everything you see here is meticulously itemised and logged. and how a new way of working is helping to rediscover them. it already is - it was decommissioned in 2010.
there's lots of grains of sand from the pilot's boot. that are involved in and around these aircraft that's so important. as it is now for future generations to see. It's so evocative looking at an item that exudes its history. Curator of Aircraft here at the Fleet Air Arm Museum. He is globally pioneering a whole new way of restoring aircraft. What IS your approach to, let's say, conservation, or restoration? -You leave it well alone. -just race for the paint pot, I hope. But a lot of 20th-century mechanical objects have suffered in that way. Let's take the Harrier Jump Jet - we've ended up here. -and you haven't touched that yet. we selected that, when it became available. or has this policy been in place for quite a few years? we've been involved with now since the year 2000. What was the first plane you worked on in that way? of its original 1944 paintwork intact. but it's only original once. makes me think of a forensic scientist. And in many ways, that's exactly what he is. Absolutely - this dates back to World War I. It is a purpose-built vessel for carrying a sea plane. that you put a seaplane on and towed? ..the start point of where the modern aircraft carrier begins. Unbelievable! How many of these have survived? We have the only one known to exist, as a complete Seaplane Lighter. "still being used on the Thames." 1996 was when they pointed it out. -So it was still afloat in 1996? -Still being used, still afloat. and bring it into storage here. -it would have literally been cut up for scrap. How lucky, how lucky! And here we are standing on it. to reveal as much of its original identity as possible. is the only remaining one of its kind. And during World War II, it might have changed history for ever. that the aeroplanes would end up in German hands. and the contract was transferred to the British. as much of the aeroplane's story as possible. Here is a good example of the type of thing we're discovering. And again, it's tracking back through the object's history. relates to what date of the aircraft. The Americans used this aeroplane extensively during World War II. And colour footage does exist of their fleets. making Dave's work even more important. -It goes right along, doesn't it? There's quite a lot of speed attached to that scrape there. and it matches identically the green on the upper surface of the wing. So what caused that, then, two wings colliding? one of the other aircraft on the squadron. or an airfield - we don't know. -so it has to predate April '41. We're beginning literally to get under the skin of the object. Scrape some off - I see you've got a little scalpel in your hand. -Oh, look, there's a bit, look. -Shall I just keep scraping? -Just keep going with the blue. Just keep going with the blue. That's fine. 'and it's not finished yet. so the next generation can understand - and learn. Well, time certainly flies when you're having fun. We are ready to go over to the auction room for the first time today. Here is a quick recap of what we are taking with us. should sing out to someone with an eye for detail. appeal to an artistic palate? for Chris and Linda's World War II aircraft clocks. battle it out for Ailsa's heart-shaped trinket box? We've travelled across the Somerset Levels to Bridgwater. Today, we have set up camp in Tamlyns. The room is absolutely packed. There is a wonderful atmosphere here. with our owners as we hand proceedings to Claire Rawle. and, here, it is 15% plus VAT. And first up, it's the aide-memoire. -My children are both going to have big birthdays. and we are all going out from England. How lovely! Oh, brilliant, brilliant, brilliant! and I don't know what, and Granny has always got to pay, hasn't she? They say small is beautiful, I think this is stunning. Good luck. Lot 62. I have to start this one away at £75. At 75. Do I see 80 anywhere? -90. Five. 100, the bid is in the room now. -Do I see 110 anywhere? At £100, bid is in the room. 110. -At 160, you all done then? -I feel a bit of roulette coming on. -That was very good, wasn't it? One helicopter ride, I think. The Chinese Cantonese brush pot is going under the hammer. and we're looking for around £100 to £150. -so we are thinning out. It might as well go now. Well, good luck. It is going under the hammer right now. A nice little Cantonese one. It is a nice start away at £75. At 75. Do I see 80 anywhere? Bid is at 75. 80. Five. 90. Five. 100. -In the room at £100. At 100. Now 110 anywhere? At £100, then. The bid is in the room. You all done? It is going to sell for... Oh, 110 on the internet. At 120. At 120. Now 130 out there. At £120, the bid is in the room then still. 130. 140 in the room. At £140. At 140. Now 150.
somebody that is not really there in person. -That is as good as you are going to get for that vase. Time's up for those World War II aeroplane clocks. Chris and Linda, it's great to see you. -Now, I know you worked at Filton. -So you've got a passion for aircraft. coming into our valuation day. -We were all excited about that, weren't we? It could be from a Hurricane, or a Spitfire, we don't know. right now to buy it. It's going under the hammer, this is it. and these I'm going to start away at £85. At 85. Do I see 90 anywhere? Bid's with me at 85. 110. 120 in the room. At 120. Got a room bid at 120. So, 130 out there? -130 I have. 140 in the room. At 160. One seven... 170. 220 out there? At £200 - you all done then? on each side of his bed. for these wonderful World War II items. Going under the hammer right now, a big heart. Yes, a large heart. Not our Ailsa's heart, but it is that wonderful silver trinket box. -And it is a whopper, isn't it? -I know it caught Charlie's eye. Fingers crossed we will get the top end of the estimate. -OK, let's go for it. And this one I have to start straight in at £120. -130. 140. 150. 160. 170. 180. -There's a bid on the book. -Now I've got 450 here. Claire was looking at a bid on the book, working the bids. -That was a lot of heart there. £450! -Back to the drawing board. It's nice when it goes like that, isn't it? One bemused expert and one delighted seller. such an exciting place to be in. so don't go away because there could be one or two surprises. and what it takes to be a pilot with them today. 815 Squadron has been operating out of HMS Heron for over 70 years now. Today, they are the largest helicopter squadron in Europe. Before I meet them, here is a quick bit about their history. 815 were formed in 1939 at the beginning of the Second World War. The first aircraft the squadron flew was the Swordfish. support during the Dunkirk evacuation in May 1940.
using sonar to spot submarines. was at the forefront of the squadron. it's still the Lynx helicopter that the squadron flies. and even battling pirates in the Indian Ocean. It takes four years to train to be an 815 pilot today. when you are carrying 15 kilos of kit on your person. And here's a man who knows all about it - Lieutenant Adam Rudkin. What does it take to be an 815 pilot today? point to be at a front-line squadron, such as 815.
hasn't it? 815, it is renowned worldwide. What does it feel like to be part of that? Oh, I feel very lucky and honoured. You know, 815 is the home of front-line Lynx aviation. And it is a great squadron, it's unique. You never know what you're going to do from day to day. -and helicopters and fly them? but have a lot of different nuances and techniques, yeah. I'll stick with the Lynx for now. Adam's confidence flying the Lynx comes from his extensive training. And knowing exactly what to do in an emergency. and I know you have done this before. You have to do it virtually once every two years? so we end up doing it quite regularly, unfortunately. Obviously you get better with age doing this, don't you? You would hope, but generally you get more scared as you get older. Is it really quite frightening? Well, yeah, you're getting upside down in the dark. You're trapped in cos you've got your seatbelt holding you. And all this kit, what you're wearing now. so loads of different things catch on. It goes upside down, all the oxygen goes out, you start panicking. but really useful as well. and say this training is exceptionally useful. Well, look, guys, good luck. I'm pleased I'm staying here and watching. -You can join us if you like. talked me through the exercise. They will all brace themselves in there. one hand on the window to release it. and they will make their exit once the movement has stopped. the training that has been instilled in them. This is where it must get frightening for them inside. I really wouldn't like to do that. That's incredible. That's absolutely incredible. -in these controlled conditions brings their confidence up. If that happens in reality, they know what to expect. Like I say, you made that look easy. You were out just like that every single time. to get out as quick as possible cos it is not very pleasant at times. Well, look, well done, and thanks for, you know, being our guinea pigs today. Cos I certainly wouldn't have got in there. watching those guys do that sort of training. It really drums home the risk they undertake in their role. up 62 hours of flying in a helicopter simulator. This is just a part of their overall flight training, but it's essential. And he has offered to give me a lesson. -So you are pretty much ready to go. Moving the stick forward, the aircraft goes forward? and it will also sort of dive down and go forward. Pull it back, you will slow down and you will climb. -Let's give it a go. Come on, I'm really excited. -So ease back on the stick gently, nice and gently. Wow, that is very sensitive. -you will see a runway. -So if you look over there, now that's Yeovilton. -That is where we are. -OK. Do you want me to land? We want to attempt to land there. If you come between... Straight, in a line down the runway. and do a regular landing. Well, I've never done a regular landing in an aircraft. because we're going to fall short, I think. Raise your left hand a little bit. A little bit more. Raise your left hand. Steady the impact. OK, raise the lever a bit to about 30 or 40. Now we are looking really good for a landing on that grass. Raise this hand. Just an inch. Gently, gently. Gently. Beautiful. And let it land. Oh, I think we are down. -We are on the grass. We're in trouble with the Commodore, but we're down. I've got to say, that was absolutely brilliant. I've never done anything like that before in my life. and getting me through my first simulated flight. and now it's time for the real thing. I will be in the safe hands of Adam Rudkin, who I met earlier. Today, we're flying over the base in a Lynx helicopter. The Lynx holds the world record as the fastest helicopter. Given its age, I think that is quite remarkable, it really is. it is to navigate and, in a conflict situation, release the arms. Such a smooth flight today, perfect conditions. I must say, Adam has got a great job here, our pilot. of Europe's largest helicopter squadrons. And it is as challenging today as it was during 815's early days. the dawn of the Wildcat. in Afghanistan, let's not forget the bravery of those left behind. Singing for us today, we have the Yeovilton Military Wives Choir. -I love this swagger stick. -I really like swagger sticks. I should have been sort of in the British Army, I think. I can see you marching up and down with that under your arm! Why have you brought it in? I've been itching to find out something about it. My husband bought it, I think, in an auction sale. It's one of those things that sort of appeared. My husband died 20 years ago. -It's not a family thing. Well, it's English cos we've got British hallmarks here. This dates from 1822. And 57 on there within a wreath. -What does the 57 mean? and it's from the Peninsular War, 1811. Got a bit of age to it. -As a sort of memento. And regiments do. They have these battles on their coats of arms. This is... Is this a bamboo of some description? Very bendy. Little silver ferrule on the end. I think it's delightful. Have you got any idea of value? No, not really. Um... No, I haven't. -It's probably worth, I would say, at least £50-80. -Would you be interested in selling it? Because it's not any good to me. Not really. -Somebody else will love this. and it will end up with somebody who collects Peninsular War memorabilia. -It would be amongst friends. With regards to a reserve, I would suggest £50 with discretion. -I was going to say that. Singing from the same hymn sheet. That's wonderful. here's a speedy little number that's just up Charlie's street. -I recognise this! This is a Model T Ford. What's the history of it, as far as you're concerned? -I was given it when I was seven years old. kind of started me off from there and ended up with my collection. I ended up with almost 200 different Dinky and Matchbox toys. -Really? Have you still got them? -Unfortunately not. They've all gone now. -Why have you got rid of them? -My children have grown up and it was something they weren't interested in. No, and girls being girls, they'd rather spend the money and have something. -This one's always been my prized treasure. I'm feeling guilty, sitting here. It comes from a TV series. The Secret Service TV series with Gerry Anderson. -I don't remember that one. -Well, 1970s. So you wouldn't, would you? I would, of course! The great thing is it has its box. Was that true of all your collection? Pretty much most of them, yeah. I was always told to keep the box. -Clever man. The boxes themselves are worth money now. And the paintwork's good. You haven't driven it around much. No, it's never come out of that little card there. -Has it never come out of the card? Well, I'm not going to do that now! -It's stayed in there all this time. One thing that intrigues me, did it ever have a steering wheel? -It never had a steering wheel when I had it. -Then I suspect it didn't have one. -I'm not sure if it ever came with one. -And there aren't any marks on his hands where there might have been. I'm not sufficiently expert enough in Dinky Toys to know whether this model had a steering wheel. I rather suspect it didn't. which costs an arm and a leg anyway, and they want spending money. I've always thought it would be around £30-40. -I think it's worth more than that. 30-40 is a conservative estimate. I'd like to see an estimate of 50-80 on it, really. You reckon it's worth 30-40. I think it's worth 50-80. -we'll put a reserve of 30. -So that's your bottom line with which you'd be happy. -But I will be disappointed if it doesn't make 50-80. -Well, that'd be very good. -Yeah, gives them more spending money. -Splendid. Thank you very much indeed. Tell me - is it something you've had for some time? them around to various village halls and things to raise money. -It went to the local hospital. -that I used to wear. -And was it against a black costume? It's like an early plastic. -Goodyear was the man who sort of invented it. And it's a mixture of sulphur and India rubber. And it makes this sort of resin which then gets moulded. I don't know what the grapes represent. is that this is the poor relation to jet. and very popular in the 19th century. It's quite dull, actually, isn't it, really? It hasn't got that lovely shine. they do deteriorate over time. But it's a super, big, bold piece, isn't it? -that's what you want, you know. It's just in a box and I wanted to come to Flog It! -This has got collectors for. Typical auctioneer's estimate, you know, 100 to 120. That's what I think it's worth. of about £80 on it. That fixes it at 80. I think you'd be pleased to keep it, wouldn't you? Yes. Yes, that would be fine. Everyone's come out to play today. -I've thoroughly enjoyed it, actually. -Has he got a name, that teddy? -Yes, he's Brigadier Charles Edward. So, Pat, I love Japanese katanas, samurai swords. Tell me, why do you own this sword? I inherited it from my father, who took it as part of a debt. -As part of a debt? -And what did your father do? -My father was a cycle dealer. -We used to make our own frames and that sort of thing. -Going back to the 1940s-'50s. Hand-built cycle frames at that time, of course, were the in thing. So your father took this as a bad debt. Was it always like this? and they sent me back a document of appraisal of the whole thing. Did they give you a date to the blade? -They reckoned roughly 500 years old. This is what we call a katana - a long samurai sword. wore these swords, with also another one - a wakizashi, a smaller blade. There are different components to it. which is these mounts here, which are later in date. This bit which they've dated is called the tang. and it will all slide off and the tsuba will come out as well. -Here is what they've deciphered. And you sent them photographs of the sword maker's name and the details. chasing the pearl of eternal life. and the flaming pearl is used in Japanese and Chinese art. It's quite rare to see a blade of this age in this country. during the Second World War, after the surrender. and the samurais were almost extinguished from their society. such as these bits here, the menuki and the tsuba. when this blade was first forged, the handle would have deteriorated. So these are late 19th century, early 20th century. Am I right in assuming, as would the scabbard? The scabbard would have deteriorated. we've broken it down into its component parts. We've got to think of what it's worth. -I think these items are collected separately too. You're quite right. Some of these are worth a lot of money. That one is a very nice tsuba. It's probably worth £300-500 just on its own. -And these are worth a little bit of money on their own. -The blade is probably worth £1,500-2,000 on its own. So I think an estimate of £2,000-3,000 is very sensible. -we need to sort of have a £2,000 reserve. Possibly, I would suggest a little bit of discretion on it. seen in a long time, because it's not just a sword, it's a culture. Absolutely, Thomas. Well, that's it. as we go over to the auction room for the very last time today. this little T Ford Dinky Toy should do a roaring trade. but is it a good year for selling vulcanite? to his father as a debt repayment, make its money today? be 100% sure of its authenticity before she put it under the hammer. I absolutely love this lot and I cannot wait for the auction. I really cannot. I want to see the top end plus, Claire! -Yeah, that would be good. -We've got £2,000-3,000 on this. I had a few concerns about it because it's so good. the Second World War and so many copies about. swords - the blades of this length, it is the one area where there's very strict legislation. it's actually against the law to sell. I certainly couldn't sell them. I stand a prison sentence and quite a big fine if I did it. So you have to be very careful with them. because there are some countries you just cannot export blades to. These, above a lot of other swords, particularly Japanese samurai. -and they said it is over 500 years old. So he had a good letter of provenance with this. Yeah, he just couldn't find it when I spoke to him! But I also sent off images to a specialist in London. -He was fine and he wishes us all the best. I think I'll have them lined up on the telephone and online as well cos the live bidding makes a difference. One of my guys is quite a long way away. He's the other side of the world, so he's getting quite excited about it. So are we. Whatever you do, don't go away. This could get really, really exciting. Pat, did you swagger into the auction room this morning? I bet you did! Are you confident? I was going to lend it to Thomas cos I thought it might suit him. -Well, I don't know about that. -I think it does, actually. He looks like an officer. Normally carried by a man in uniform. -It's going under the hammer right now. Nice little item, 332. And I start away at £42. At £42. Do I see five anywhere? At 42. At £50. Bid's in the room now. At £50. Now, do I see five? At £50. Room bid, then. At 50. At 50, it's going to sell. Are you all done at £50? -Well, it's gone and it went rather quickly. Or have two or three bidders that really want it, to push each other, push those bids up a bit. -But it's gone. It's gone within estimate. We're happy. Yeah, that's fine. I'm happy. A bargain, going for the lower end of Thomas' valuation. Let's hope Charlie's Dinky car gets some mileage. the Model T Ford belonging to Mike. You know the line, don't you? -It has to be black! -Because black was the paint that dried the quickest. -Get them off the assembly line. Little Dinky car here. There we are, with its box. The Model T Ford. It's got a little stand and everything with it. Lot 232. And I start away at £22. At 22, do I see five anywhere? Bid's with me at 22. At 22. At 22. Surely 25. At £22. At £30. At £30, it is. Now, do I see two anywhere? The bid's at 30. All done. It's going to sell at £30. -You wanted it to go. And it was a gamble. -I had it in my head around that price. associated with her striking vulcanite necklace. It's like an early Bakelite, isn't it? Like sort of Victorian plastic - vulcanite. Yes, it's very light, it looks heavy but it's not at all. And are you going to miss this now? Not really, because it's been in the cupboard for ages. -are you ready for this, Catherine? -what we've come for, let's get on with it. This is rather fun, the Victorian vulcanite necklace. And I'm sure you all had a good look at this. -£90. And I'm looking for 100. No, 150 bid's here. At £150, do I see 160? No, 180. Net bid this time at £180. -Well, I'm glad you pounced on it. Well, I know Thomas and Patrick have been looking forward to this moment. You know what's going under the hammer. We are in the cutting edge of the saleroom with this samurai sword, which is around 500 years old. The blade is the important thing in this. temper on the blade and all the mounts, the tsubas are wonderful. We're going to put it to the test right now. It's going under the hammer. This is the Japanese katana. Going to start it away at £1,300. At 1,300. Do I see 1,400 anywhere? At 1,300. 1,400 on the net. 15 with me. At £1,500. At 15. 16 on the net. 17 with me. At £1,700 with me. At 17, 18, 1,900 with me. At 1,900. 2,000 on the internet. At 2,000. Do I see 2,200 anywhere? At £2,000, the bid's on the internet. 2,200, if you want it, on the phone. £2,000 on the internet. Do you want to go 2,200? At 2,200. 2,400 on the internet? 2,400 on the internet. 2,600 is the next bid. 2,600 on the telephone. At 2,600 on the phone. At 2,600. 2,800 on the internet. 2,900. I'll take 3,000 on the internet, then. At 2,900 on the telephone. 3,000, he says. At 3,000. Next bid will be 3,200. At £3,000, are you all done? It's going to sell to the internet bid at £3,000. We did it. How about that? What a great result! -Patrick, you've got to be over the moon. -You'd have taken the bottom end of that estimate. and we've seen absolute quality. Well done, Thomas. Well done, Claire, on the rostrum. I hope you've enjoyed today's show. We've had a marvellous time here in Somerset. I cannot wait to come back. This episode comes from the Fleet Air Arm Museum situated on HMS Heron, the naval aviation base in Yeovilton, Somerset. Paul Martin is joined by experts Charlie Ross and Thomas Plant, and together they pick out a selection of interesting antiques to be sold at a local auction. Paul finds out about one of Europe's largest helicopter squadrons which operates out of HMS heron and takes to the skies. He also goes behind the scenes at the museum, where he meets curator Dave Morris, whose pioneering way of working is bringing exhibits to life in a way never previously imagined.